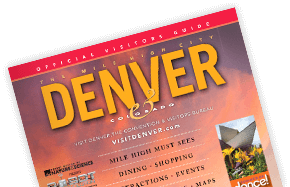 Get behind-the-scenes looks at Denver’s thriving beer scene, including the largest single-site brewery in the world, as well as specialty microbreweries. To enrich your experience even further, delve into the fine craft alcohol scene with tours of Denver&apos;s distilleries. Note: Tour times are subject to change. Please call ahead to confirm. The legendary Coors Brewery in nearby Golden can brew up to 22 million barrels and package up to 16 million barrels annually, making it the biggest single-site brewery in the world. Take a 30-minute, self-paced tour of the brewhouse, malthouse and packaging complex to view firsthand how more than 100 work teams make some of the most popular beer in the world. TOUR INFO: Aug. 16–June 1: Thurs.–Sat. : 10 a.m.–4 p.m., Sun. : 12 p.m.–4 p.m., Mon. : 10 a.m.–4 p.m. June 2–Aug. 15: Mon.–Sat. : 10 a.m.–4 p.m., Sun. : 12 p.m.–4 p.m. Please call ahead (303-277-2337) to confirm days and hours of operation. Denver&apos;s first brewpub, Wynkoop Brewing Company — co-founded in 1988 by current Denver Gov. John Hickenlooper — produced 4,330 barrels of fresh beer in 1997, earning it a place among the largest brewpubs in the world. The free brewer-led tour takes visitors through the painstaking process of brewing Wynkoop&apos;s acclaimed beers, while strolling through the historic J.S. Brown Mercantile building, with its classic hardwood floors, thick timber pillars and pressed tin ceilings. TOUR INFO: Tues.–Sat. at 3 p.m. and 4 p.m. Please call ahead (303-297-2700) to verify a tour is available. Great Divide Brewing Company&apos;s downtown Brewery and Tap Room is the go-to locale for many of Denver&apos;s beer aficionados, where you can sample any of the beers on tap or in bottles, as well as the occasional Tap Room-only special release. Or, stop into the company&apos;s new Barrel Bar and packaging facility in the River North Art District (RiNo). In addition to another tap room where you can try everything Great Divide has to offer, this location — which opened in 2015 — is host to a state-of-the-art packaging facility, canning line and barrel-aged and sour beer storage area. Both locations offer free tours. If a visit whets your thirst for more brew knowledge, Great Divide also hosts Hop Disciples nights, featuring riveting discussions on beer and all things beer related, every third Wednesday at 6 p.m. at the Brighton Boulevard location. TOUR INFO: Mon.–Fri. : 3 p.m., 4 p.m. and 5 p.m., Sat.–Sun. : 2 p.m., 3 p.m., 4 p.m., 5 p.m. and 6 p.m. No reservations required. Here&apos;s a walking tour that takes you from LoDo (lower downtown) to LoHi (lower Highlands), visiting several beer hotspots along the way. Colorado&apos;s first brewpub opened in 1988 and was founded by a group of young urban pioneers that included John Hickenlooper, who went on to serve as Mayor of Denver for seven years and is currently the Governor of Colorado (the first former brewer to be elected as a state governor since Sam Adams in 1794). Today, the Wynkoop Brewing Company is the center of LoDo — Denver&apos;s hip historic district where century-old warehouses have been turned into more than 90 bars, brewpubs, restaurants and cafes. Wynkoop&apos;s architecture is typical of the neighborhood, with hardwood floors, exposed brick walls covered with artwork and big open windows. The second floor of the huge pub has 22 pool tables, multiple dart boards and other bar games. There are always more than a dozen craft beers on tap. The flagship beer (available in cans) is Rail Yard Amber Ale, a smooth amber with the malty flavor of an Oktoberfest lager. For a true Colorado experience, try Patty&apos;s Chile Beer, a German-style lager made with chiles and smoked Ancho peppers. DIRECTIONS TO NEXT STOP: Walk west on Wynkoop two blocks to the 16th Street Mall, then turn left and walk seven blocks to Curtis. Today, Rock Bottom Brewery is a major chain with more than 30 breweries that produce 700 different craft beers that have won over 125 medals. But their brewery in Denver is the "mother ship," the first brewery of the chain when it opened in 1990. Rock Bottom has one of the best locations on the 16th Street Mall, Denver&apos;s mile-long pedestrian promenade. There are 41 outdoor patios along the Mall, but the one at Rock Bottom is the largest and one of the most popular. On summer weekends, bands play and hundreds of people gather to sip craft beer on the patio under twinkling lights, as horse-drawn carriages clatter by. The interior of the massive bar is built around towering glass windows displaying the brewing equipment. It can be noisy, crowded and fun, as the bar brings in an attractive crowd of young downtown office workers. For a quieter experience, head to the back bar, which has pool tables and a staff that&apos;s both knowledgeable and passionate about craft beer. Rock Bottom features the standard IPAs, Red Ale, White Ale, Dark Ale and a Winter Tartan Ale, as well as the always popular Molly&apos;s Titanic Brown Ale. The brewmaster at each pub creates specials, so check what&apos;s on the current beer list, and especially look for the hand-pulled cask-conditioned ales in the back room. DIRECTIONS TO NEXT STOP: Catch the free MallRide bus at the corner of 16th and Curtis and take it north to the final stop at the Union Station Light Rail. Walk back to 16th Street and over the Millennium Bridge (easily identifiable by the tall white mast). Continue straight through the Riverfront development and across Commons Park to a second pedestrian bridge over the South Platte River. On the other side of the bridge, walk one block to Platte Street and turn right. Denver Beer Company is on far side of the street. RiNo is known for its many art studios and galleries, but the neighborhood is also at the heart of Denver&apos;s craft beer scene. Hop in one of eTuk Ride&apos;s Denver-built, zero-emission vehicles for an eco-friendly ride to one of the many independent craft adult beverage producers dedicated to promoting and celebrating the independent and wild spirit of RiNo known as Drink RiNo. Want a peek behind the scenes? Upgrade to a Premium Experience and you&apos;ll get to tour the brewing facility in addition to the tastings and the opportunity for unique take home treats. A local craft beer connoisseur will join you along the way with details about the local breweries and beers. Take a private tour of Denver&apos;s best breweries with up to 13 of your closest friends with Denver Brew Tours. What makes this tour different? YOU pick the breweries! Choose from any of the more than 100 local breweries in and around Denver and Boulder, or pick from Denver Brew Tours&apos; list of nearly 50 partner breweries, grouped by region so your can maximize your time. With Denver Brew Tours, you&apos;re in control of everything except the driving. Prefer to keep your feet on the ground? The company also offers a walking tour of Denver’s Sunnyside and LoHi breweries every Friday (4 p.m.) and Saturday (1 p.m.). Take a seat outside and enjoy the sunshine at Denver Beer Co.
Denver Beer Company is one of the city&apos;s favorite tap rooms — a place that really captures the laid-back feeling of The Mile High City. Located in a former auto garage, on warm days the "walls" of the pub literally roll up, making the whole building open air. There&apos;s an outdoor patio with picnic tables next to a space where different food trucks park every day. Denver Beer serves only delicious homemade pretzels and beer, but you&apos;re welcome to bring your own food or purchase food at the rotating food trucks. Dogs are welcome too, and it&apos;s a rare day when there aren&apos;t at least a few pups at the bar or on the patio. Owners Charlie and Patrick began as home brewers and are dedicated to making the finest and most inventive beers in the city. There are usually a dozen small-batch beers on tap that rotate regularly. Check the chalk board to see what&apos;s available. If Graham Cracker Porter is on tap, make that your choice. It&apos;s been described as "a campfire in a glass with notes of vanilla, smoked cedar and mulling spices." This is a neighborhood bar where people stop in after a bike ride or a run. Even Denver Mayor Michael Hancock is a fan — he helped Patrick and Charlie make a pumpkin ale here to kick off Denver Beer Fest in 2012. DIRECTIONS TO NEXT STOP: Turn right from the brewery and in a half block, head west over a third pedestrian bridge, which crosses I-25. Immediately on the other side of the bridge is the next stop. After crossing the bridge, you&apos;ve entered LoHi, one of Denver&apos;s hippest and fastest-growing neighborhoods. Ale House at Amato&apos;s is a great introduction to this section of town. Although no beer is brewed here, the restaurant is owned jointly by Wynkoop and Breckenridge breweries and features 40-plus craft beers on tap, including several rare and hard-to-find Colorado microbrews. The staff is beer savvy and will work with you to find the perfect selection, whether it&apos;s light, hoppy, malty or complex (and your beer, of course, will be poured into the appropriate style of glass). The entire roof of the bar is an open-air beer garden with outdoor fireplaces and sweeping views of Downtown Denver. It&apos;s especially pretty at twilight when the sun sets over the visible Rocky Mountains to the west. Want a break from beer? There are plenty of wines to choose from, as well as hand-crafted cocktails. Or take a different break and walk two blocks uphill on 16th until you see a 30-foot-high milk can. This is the legendary Little Man Ice Cream, where they produce hand-made, small-batch ice cream, created with some of the finest local ingredients. Relax with a triple scoop (we&apos;re partial to the Salted Oreo) in their outdoor ice cream garden. For those poor souls who have trouble with milk? They sell a Lactaid pill for 50 cents! DIRECTIONS TO NEXT STOP: Exiting Amato&apos;s, turn left and walk four blocks northeast along Central Street. As you would suspect, with a name like Prost, this brewery specializes in traditional German beers, and they do everything traditionally, from serving the beer in appropriate German beer glasses to making it in authentic 72.5-barrel copper kettles from Germany. The kettles were made in 1963 and used until a few years ago by a 350-year-old brewery in Germany. When that brewery went out of business, the kettles were purchased and lovingly shipped to Denver, where they continue to make Weißbier (a Bavarian Hefeweizen), Altfränkisches Dunkel Bier (a dark amber lager) and Marzen (an Oktoberfest brew). The flagship beer is Prost Pils, a crisp, pale and well-hopped, gold-colored brew capped with a dense white collar of foam. It&apos;s served in a tapered glass with a gold rim that will have you crying, "Prost!" The Prost beer hall is decorated with authentic antique German beer signs and blue-and-white-check Oktoberfest bunting and is filled with long communal tables. Have a liter of beer, bite into an authentic German pretzel and meet new friends in this LoHi neighborhood tap room. DIRECTIONS: Turn left out Prost — Avanti F & B is just north across Highland Gateway Park on the corner of 32nd and Pecos. If all this walking has worked up an appetite, end your night with dinner (and another beer) at Avanti F & B, one of Denver&apos;s most popular new spots for foodies. Inspired by European markets and food-truck roundups, Avanti bills itself as a modern-day food hall, offering up seven different restaurant concepts under one roof. Grab a mushroom pizza at Brava! Pizzeria, a noodle bowl from MiJo or a chicken meatball torta at Poco Torteria. There are also two large bars — one upstairs and one downstairs — with twenty draft beers on tap, many from local breweries like Prost Brewing, Platt Park Brewing, Crooked Stave and Ratio Beerworks. DIRECTIONS: Return to the Light Rail station the same way you came. From here, you can catch the free shuttle to anywhere on the 16th Street Mall. Take a tour of the bucolic new Breckenridge Brewery facility in Littleton. You&apos;ll walk through the whole brewing process and see from start to finish how Breck Brew gets the beer to your bottle. Everything from the 100-barrel brewhouse, to the fermentation hall, to the bottling line...and all with a complimentary beer in your hand! You&apos;ll taste and talk about the company&apos;s different beers and how they&apos;re made. Tours cost $3 and begin and end in the tasting room. We recommend grabbing a meal at the excellent Farm House Restaurant while you&apos;re there. TOUR INFO: Tours are available Thurs.–Mon. Tours last 60–90 minutes and are offered at 11 a.m., 1 p.m., 3 p.m. and 5 p.m. Reservations are encouraged and can be made here. New Belgium Brewing Company in Fort Collins is one of Colorado&apos;s first microbrewery success stories. 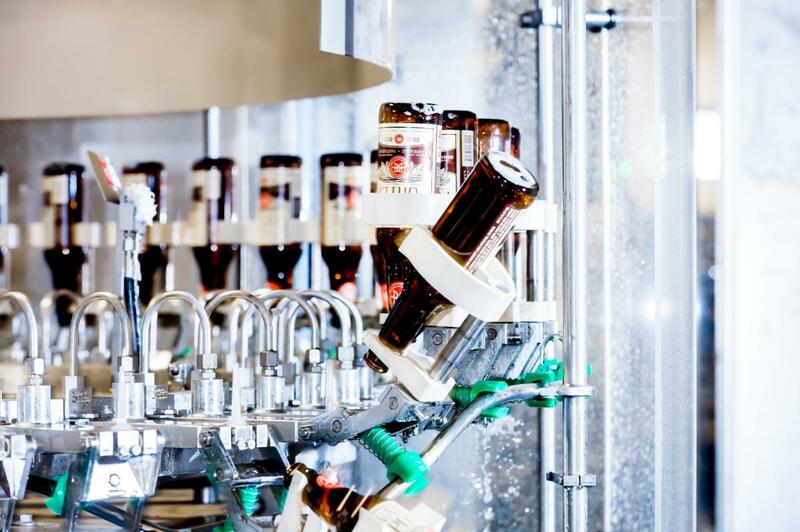 Since its founding in 1991, New Belgium — best known for its iconic Fat Tire Amber Ale — has grown into one of the biggest microbreweries in the world, producing more than 400,000 barrels of beer annually. TOUR INFO: Register at newbelgium.com for a free tour of the wind-powered "Liquid Center." It&apos;s a 90-minute stroll around the brewery incorporating plenty of beer sampling. Tours run daily every 30 minutes from 11:30 a.m. to 4:30 p.m. Book in advance — tours fill up fast! One of Boulder&apos;s most beloved brewers, Avery Brewing Company is rapidly making headway on the national beer scene. Last year the company moved into a new $27 million "dream brewery" in north Boulder, upping both their brewing capacity and tap room seating. TOUR INFO: Join one of Avery&apos;s "Craft Czars" for a free one-hour tour of the new facility. Brewery tours are offered Mon. at 4 p.m. and 5 p.m., Tues.–Fri. at 4 p.m. and Sat.–Sun. at 2 p.m. Reserve your tour time online here. Boulder Beer Company, Colorado&apos;s first craft brewery, is beloved by beer connoisseurs for its Hazed Hoppy Session Ale and by environmentalists for its eco-friendly ethos. TOUR INFO: Tours of the Boulder facility are given Mon.–Fri. at 2 p.m. and Sat. at 2 p.m. and 4 p.m. The free tour lasts approximately one hour. Get there early to sign up, since they don&apos;t take reservations. Visit the home of Budweiser at the Anheuser-Busch Brewery in Fort Collins and discover how the "King of Beers" crafts its world-famous brews. See the famous Budweiser Clydesdales and sample a cold one in the Hospitality Room. TOUR INFO: Free tours run daily every 45 minutes from 10 a.m.–4 p.m. Reservations are not required for groups smaller than 15 guests. Or upgrade to the two-hour Beermaster Tour, which offers an in-depth look at the brewing process, multiple beer samples and commemorative gifts for $35. Reserve a spot on the Beermaster Tour here. Boulder&apos;s Upslope Brewing taps into Colorado&apos;s active lifestyle by offering superior-quality handcrafted ales in cans for the on-the-go beer enthusiast. The brewery has won raves for its IPA and Brown Ale, but we also love their creative limited-release brews, like the Blood Orange Saison and the Thai Style White IPA. Oskar Blues kicked off the canned craft beer revolution in 2002 with their Dale&apos;s Pale Ale. Why cans instead of bottles? For one thing, cans keep beer fresh by protecting it from light and oxygen. Drop into either the brewery&apos;s Homemade Liquids and Solids restaurant/brewery/music venue (home of the aforementioned oversized beer can) or the nearby Tasty Weasel brewing facility for a Dale&apos;s or an Old Chub Scotch Ale. Located on the banks of Longmont&apos;s St. Vrain River, the patio is perfect for relaxation and beer appreciation. Since its founding in 1993, Left Hand&apos;s brews, including its iconic Milk Stout and Sawtooth Ale, have wowed beer connoisseurs, racking up dozens of medals at events like the Great American Beer Festival, the United States Beer Tasting Championships, the Brussels Beer Challenge, the World Beer Cup, the International Stockholm Beer & Whiskey Festival and more. TOUR INFO: Mon.–Thurs. at 1:15 p.m., 2:15 p.m. and 3:15 p.m. and Fri.–Sun. at 12:15 p.m., 1:15 p.m., 2:15 p.m., 3:15 p.m. and 4:15 p.m. Reserve your tour spot here. With more than 25 years of brewing experience under its belt, Odell brews everything from handcrafted classics to small-batch beers that please even the snootiest of beer snobs. Be sure to try Odell&apos;s 90 Shilling Ale and the Cutthroat Porter, then sample from a rotating line of experimental brews, many of which are available exclusively in the Tap Room. TOUR INFO: Daily at 12 p.m., 1 p.m., 2 p.m. and 3 p.m. Tours last about 30 minutes and can be reserved in advance here. Just steps from the Cache Le Poudre River, Fort Collins Brewery turns out favorites like Far Away IPA, Major Tom&apos;s Pomegranate Wheat and Shot Down Chocolate Stout. This local gem isn&apos;t quite as big as Odell and New Belgium — not yet anyway! TOUR INFO: Every Sat. at 12 p.m., 1 p.m., 2 p.m., 3 p.m. and 4 p.m. and Mon.–Fri. by appointment (970-682-2260). Avery Brewing's taproom serves beer available exclusively on site.